If you’re looking for a high quality and professional window cleaning service, you've come to the right place. At Elite Window Cleaning we’ll give you the attention and personal service you deserve. Our professional window cleaners will show up on time, in uniform and with the tools to do the job right the first time. Unlike some of our competitors, when we say clean the window we mean the whole window. We clean the glass, frames, sills, tracks and screens. Our rates are competitive and our service is unmatched. We have a number of cleaning programs to choose from. We have been in business since 1999, and are located in Riverside. We have the know how to clean any type of window up to 3 stories. No job is too big or too small. 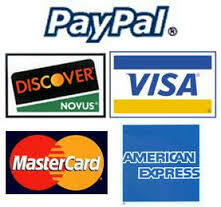 We accept all major credit cards. So if your windows are in need of cleaning at your home or place of business let the professionals at Elite handle the job for you.